A woman’s guide to being in the driver’s seat, creating a family financial value system and taking control of your money. Follow me through my own personal coming-of-age story as I come to the realization that money is at the root of financial empowerment. In this book, you’ll find exercises and tips to help you claim your version of financial freedom. If you’re ready to make your definition of financial empowerment your reality, this is the book for you. Gone is the era where women relied on their husbands to be the primary source of income. Women are now steering the course of change with our family’s money. It only makes sense that you learn how to tap into your personal money power to lead your family to wealth and financial success. Women deserve the knowledge, direction, and control to have a heart-centered value system for financial management. You’ll also get free financial resources and a workshop when you purchase a book! My FREE 5 Day Heart of Your Money challenge will teach you the simplest technique for creating more wealth in your life immediately. You’re going to get exclusive access to discover how to get clarity on what “wealth” really means to you. Hint – It might not be what you think it means! I’ll show you how to overcome your own inner resistance that is keeping you stuck in the middle when it comes to money. This FREE challenge is my way of giving back. After decades in the industry, I am committed to the idea that it’s time for women to start embracing their own financial freedom. If you’re ready to make some serious changes when it comes to money, try my FREE course. If talking about money makes you feel uncomfortable or you don’t know what you’re doing when it comes to money management, this course is for you. 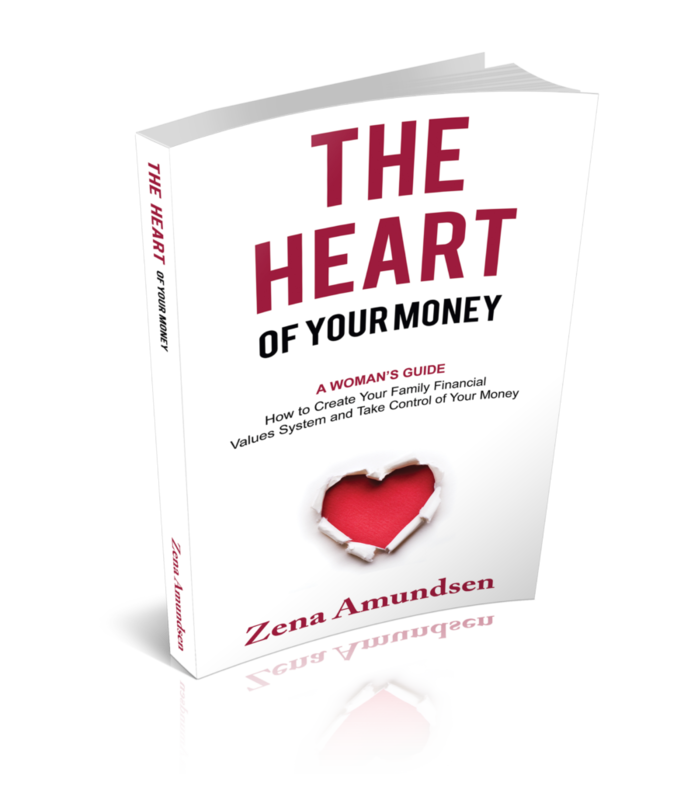 The Heart of Your Money ECourse will show you how to create a love-fest with your money and achieve financial freedom. This is going to be hard to hear, but if you’re out of control with your finances, then you’re out of control with just about everything in your life. You have to identify the origins of your relationship with money to be in a position to make changes, especially since we’re taught as women that our value is linked with how much we’re worth financially. 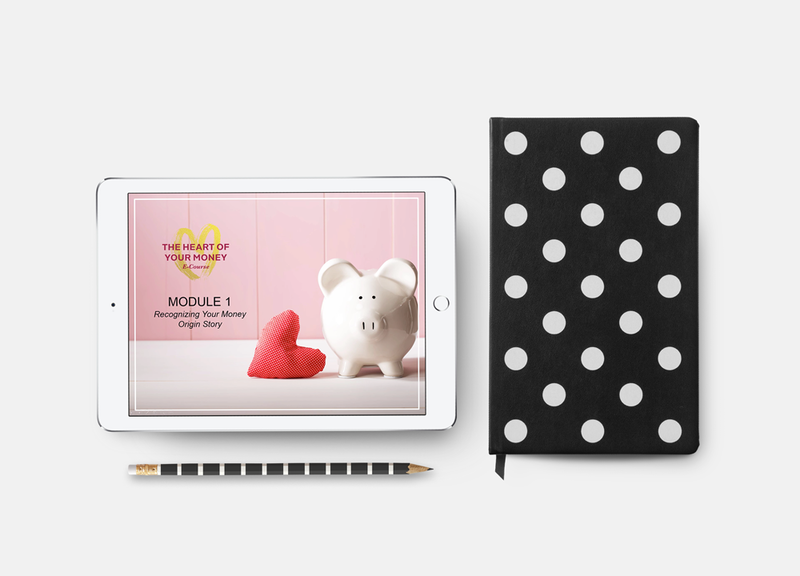 The Heart of Your Money ECourse is designed to do just that. When you put your relationship with money under the microscope, then you’re able to change it. In this 6 week course, you’ll learn how to take steps to fine-tune that relationship and achieve financial freedom.